Mathew Codek, Blue boys, Tim Green, Jetro, Rene Amesz & Ruell and more. 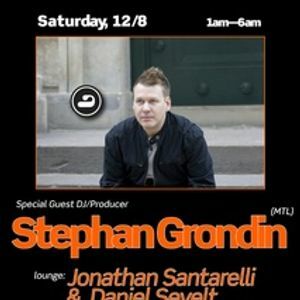 This set was performed live during my opening set for Stephan Grondin at Rise&apos;s 2nd Saturday party. It was all recorded and performed using Ableton live with an APC-40. Some songs where edited live during the show, along with a live mash up performance. Its a great blend of funky house and dark tribal rhythms. Enjoy !